ICG angiography is a clinical test used to detect abnormal blood vessels in the choroid, the layer of blood vessels under the retina. These abnormal blood vessels, typically associated with macular degeneration, may cause bleeding, scarring, and vision loss. 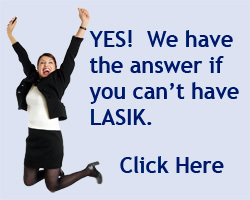 If the blood vessels can be restricted by laser surgery, vision loss may be stabilized or improved. Indocyanine, a harmless green dye, gives off infrared light. When injected into the bloodstream, the dye travels through the veins to the blood vessels in the eye. A video camera connected to a computer picks up the infrared light and makes a picture of the blood's circulation. No film or x-rays are involved. Following the test, the liver removes the dye. There is little risk in having an ICG angiogram. Some people may have mild allergic reactions and, although rare, a few severe allergic reactions have been reported in people allergic to iodine, X-ray dyes and shellfish.